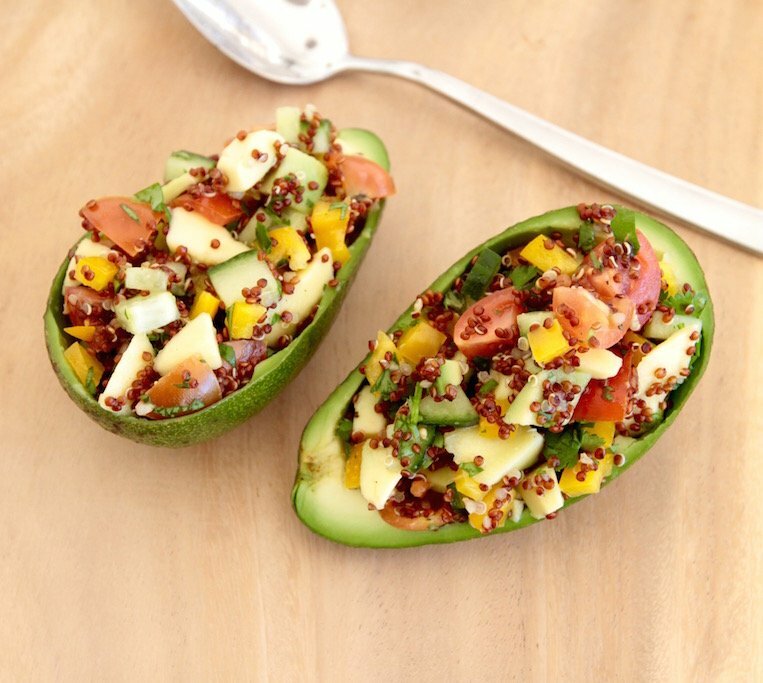 This delicious avocado salad is perfect for when you are on a detox diet. You can also serve it as a side dish with chicken or fish. First cook the quinoa and set aside. Then cut all the veggies into small cubes. With a table spoon take out the avocado from it’s skin and cut it into small bites, like the rest of the vegetables. Then mix all the ingredients together in a bowl and serve it in the avocado or just in the bowl as a side dish. Season with fresh lemon juice and olive oil, Himalayan salt and freshly ground pepper.